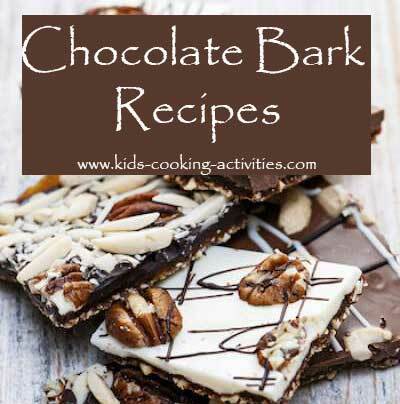 These chocolate bark recipes are an easy idea for kids to make candy. Using a few simple ingredients like chocolate chips or melts and toppings, you'll be able to create a impressive looking dessert to give as gifts or treat yourself. Unwrap candy canes and place in ziplock bag. Melt candy chips in a microwaveable bowl. Pour melted candy chips onto cookie sheet and spread with a spatula. Sprinkle candy cane pieces over the melted candy quickly, before it hardens. If you have several kinds of bark you'd like to try, go ahead and layer them in a pan. Once you break up the pieces you'll have a nice variety. 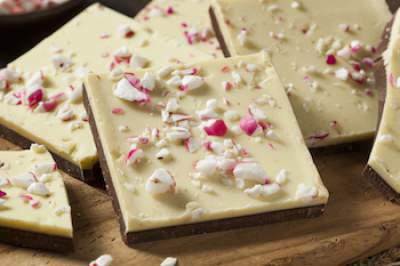 A popular combination is adding crushed peppermint candies or candy canes onto your melted chocolate. In this example you can start by pouring milk or dark chocolate and letting it set. Then layer melted white chocolate on the top. Sprinkle with crushed peppermint candies. 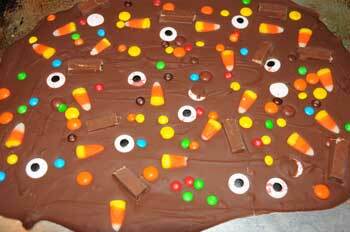 Add seasonal candy eyes and other fun candies for this chocolate bark. 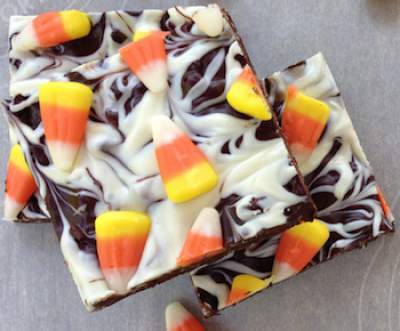 For a Halloween Frankenstein them add candy eyes to melted green candy melts. 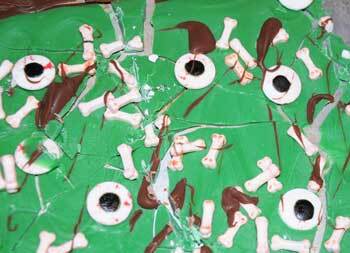 Add bones and other details like drizzled chocolate. 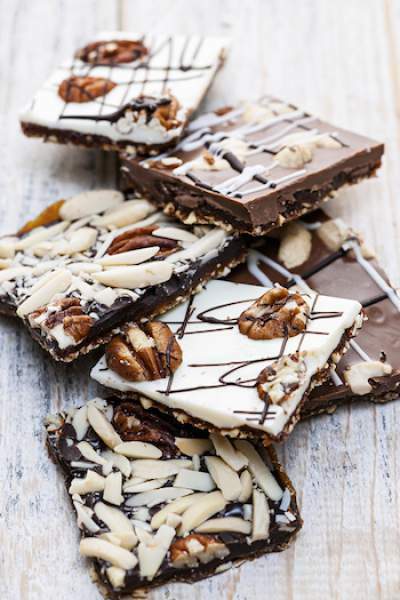 Another yummy chocolate bark recipe is to use chopped nuts as a topping. The mixture of chocolate and nuts are a popular candy combination. For this example you can sprinkle chopped nuts on the bottom of your cookie sheet. Then pour melted chocolate on the top. Drizzle with white or dark chocolate and press in nuts. Let set. 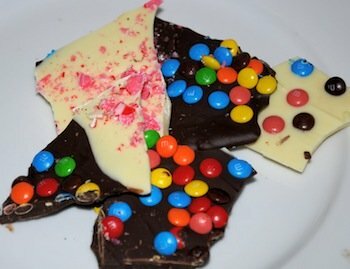 What is your favorite chocolate bark recipe combo?